Famous for her no-nonsense approach, be it in the days of being an Inspector General of Prisons or today, as a political activist Kiran Bedi has come a long way. 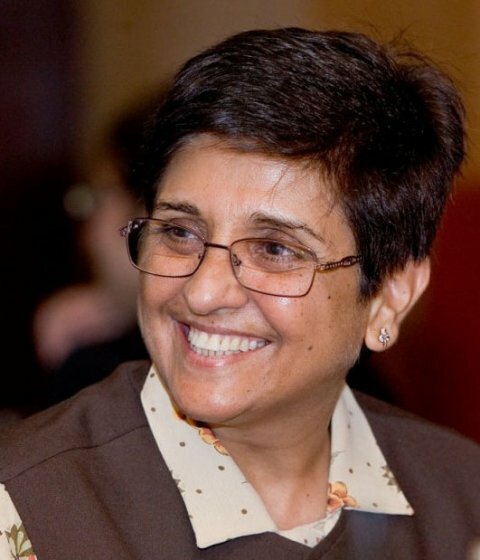 Born in 1949 in Amritsar, Kiran Bedi is a Political Science major and has also studied Law. She has had an exceptional track record as a Police Officer and was awarded the Ramon Magsaysay Award in 1994 for her exceptional work in introducing reformatory measures for the inmates of Tihar Jail. As a social activist Kiran Bedi is associated with Navjyoti Foundation and India Vision Foundation which improves lives of under privileged sections of society. Currently, she is also involved in supporting the India against Corruption movement. She inspires us as a women who can excel in any ‘Man’s job and come out strong and competitive. She continues to stand out with her work for social progress of our nation even after her retirement.